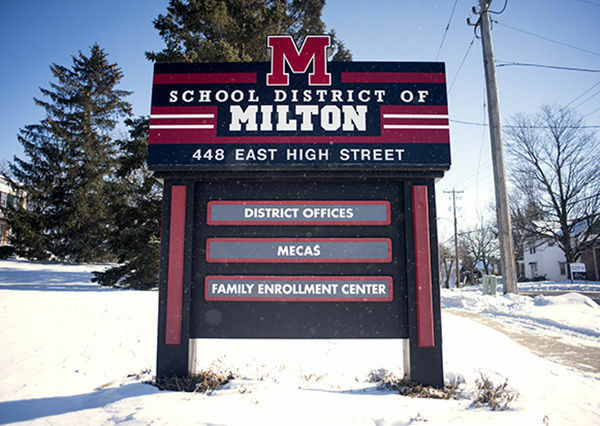 The April election will bring at least one new face to the Milton School Board. Two school board seats are up for grabs. One currently belongs to Don Vruwink, who announced last month he will not seek another term. The other seat is held by Mike Pierce, who is running for re-election. Rick Mullen, Harvey Smith, Rick Ehle and Pierce will be on the ballot after filing candidacy paperwork by Wednesday night’s deadline. 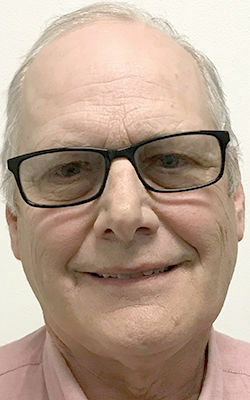 Vruwink, a former Milton High School teacher, told The Gazette he will not run because he wants to focus on his job as the 43rd Assembly District representative. Pierce was appointed to a one-year term to replace Betsy Lubke, who resigned in April. He previously served on the school board from 1994 to 2012. Pierce said he chose to run again because the school board is in the midst of approving a $59.9 million capital referendum for the spring ballot, and he does not want to appear not to support of the referendum. “I do support it and want to see it through,” he said. Smith ran unsuccessfully for school board in 2017, receiving the fifth-most votes of six candidates. He said residents encouraged him to run again, and he believes this is his time to give back to the community now that he is retired. The board took a better approach to craft the latest proposed referendum, Smith said. He said he voted “no” on the last two referendums but is optimistic about the new facilities solution. Ehle also is making his second attempt at a school board seat. He first ran in 2016. Ehle said he is unsure of his stance on the referendum because he thinks the district has not provided enough information. Plunkett Raysich Architects has presented multiple conceptual designs at school board and strategic planning committee meetings, but Ehle said that is not enough. He wants to see detailed drawings that include the number of classrooms, amount of classroom space and cost per square foot. Ehle also thinks officials should consider operational costs associated with the construction. Mullen is running for school board for the first time. He is a Milton High School graduate, pharmacist at Mercyhealth and father to two high school students. Mullen said he supported the first two referendums and thinks building a new high school would have been the best solution to the district’s facility needs. The proposed spring referendum is a good compromise that still meets many needs, Mullen said. Beyond the referendum, candidates had few concerns about the district and school board. Pierce said he wants to see better communication between administrators and board members. Smith said he wants the board to have a more active role in creating its agendas and holding discussions at meetings. The board currently takes too much direction from Superintendent Tim Schigur, he said. Mullen said he is impressed by Milton’s low tax rate and wants to help the board keep taxes low while still investing in education. Ehle is concerned about school safety. He said the district is doing a “better job” of addressing safety but still has work to do to protect students and prevent bullying.